Pennsylvania Lumbermen’s Mutual Insurance Co. presented a check for $44,820 and 300 smoke detectors to the Philadelphia Fire Department Foundation during the Insurance Society of Philadelphia’s annual Independence on Nov. 14. “The Philadelphia Fire Department Foundation does tremendous work to improve fire safety for our city’s residents in need, and we are proud to support them,” John Smith, PLM’s president and chief executive officer, said in a statement. 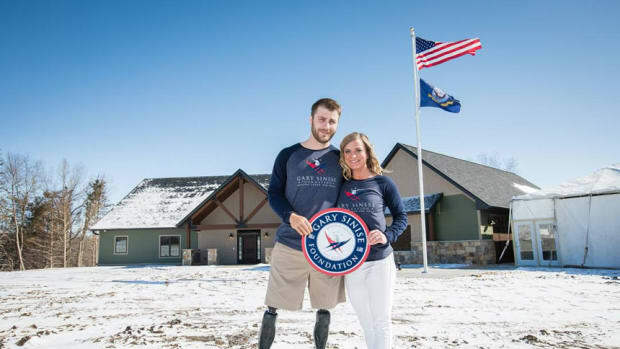 The National Wood Flooring Association has provided flooring for its 26th home in partnership with the Gary Sinise Foundation Restoring Independence Supporting Empowerment program that builds custom, specially adapted smart homes for severely wounded veterans and first responders.